This has been a BIG week for Gen Y research and insights because of the Pew Research report on Millennials. Our friend, Prof. Carol Phillips, has also written a nice article on how companies are just coming around to paying attention to this generational shift among key consumers. Will companies start paying closer attention to Gen Y outreach? We think so. On January 25, 2010 CultureLab recorded our first podcast with Dieste agency's Latincast crew: Caleb Williams, Santiago Botello, and Tania Flores. We had a blast! Here is a little "behind the scenes" video from that day. Untitled from Kevin Walker on Vimeo. Hol' Hol' On.....The Superbowl game ads were aight and all but the GAME was waaaaay better! We are mocking Kanye West's infamous hijacking of Taylor Swift's MTV VMA moment but, my oh my, how we could have used Kanye creatively in one of those spots last night! Watching the 2010 Superbowl ads validated why a firm like CultureLab has such a bright future. The ad industry demonstrated that they are struggling with relevancy, and diversity of voice. We also think a large number of ads were really off in terms of tonality. CultureLab was able to share this POV post game on the Marcus Graham Project's blog talk radio show. * Our favorite spot was the "Parisian Love" Google ad: great demonstration of functionality, clever storytelling, and the spot delivered in adding some much needed humanity to Google. * Our runner up 1- Kia: finally a spot with real energy, a fun concept, cool Kid Robot inspired toys, upbeat music, and to us, it made a mini van type of vehicle (the Sorento) cool! * Runner Up 2: Dante's Inferno Videogame. We wish we were the team who sold in using Bill Withers' "Ain't No Sunshine" as the music to accompany this ad. * Runner Up 3: Doritos, The Slap: this was a tad problematic in the premise, the overprotective man/child of a single black mom, but it was kind of funny. I am wondering though if some African Americans cringed a little at the premise as common as it it in real life. * #FAIL on a glaring lack of diversity specifically, Hispanics and Asians, and over reliance on Black entertainers and athletes for diversity. Double #FAIL on Charles Barkley rapping/rhyming and plugging Taco Bell. Draft FCB, we can do better! Where is Carlos Mencia when you need him! LOL! * Beer, this category needs our help.........specifically Anheuser Busch....why do we keep reverting back to frat boy humor? CultureLab can help you evolve your message and make beer a more "inclusive" product. The humor didn't do it for us and you guys even fumbled the Clydesdales! Making fun of Auto Tune is so 2006 and 2007. *The biggest winner of the Superbowl ad contest for us was Pepsi, who decided NOT to advertise this year during the big game. 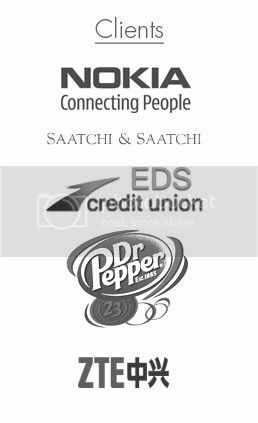 Their move was brilliant in that the Refresh Project showed real insight as to what is relevant for the core Pepsi consumer. It also is a very smart deployment of money compared to many advertisers who chose to spend big for the slot but put in place low quality work. Nice move Pepsi and we think next year, there will be even more companies making decisions like Pepsi did when it comes to advertising during the Superbowl game. It's funny we had a hearty discussion yesterday about whether social media and marketing was a big part of her success and today we stumble across this article on Lady Gaga's rocketing fame. After The Grammy's Can We Get Back to Creativity in Music? We feel as if we wasted 3 hours of our lives watching the Grammy Awards last night. The music industry is so desperate for money that they have turned the awards into a pure celebration of who sold the most units. What we call the Wal-Martization of music was on full display. Can you say country pop? We apologize to all of our blog readers who like country pop, but it annoys the heck out of us. LOL! Musicianship, individualistic style, and just overall coolness were missing last night. In our opinion, we might add! The other questionable development with the Grammy's was the awarding of many of the Black and Hispanic music categories in the non-televised portion of the show. Vapid is the word that best describes what we witnessed. Anyway, enough of our rant. This West Coast hip hop production duo get props for getting Kool Keith and Tom Waits on the same track, awesome video too! We are pumped for the queen of soulful creativity, Ms. Erykah Badu. If this track is any indication, New Amerykah Part 2 will be the hotness. Unique vocalization, unique sound and even L'il Wayne spits a few good verses. Lupe Fiasco should have been on that Grammy stage last night doing this song!